12oz black Japanese stretch denim, woven in a right hand twill construction. The denim is dyed black on both the warp and weft for a solid black color tone. A paraffin wax coating is then applied to give the fabric a leather like shine. 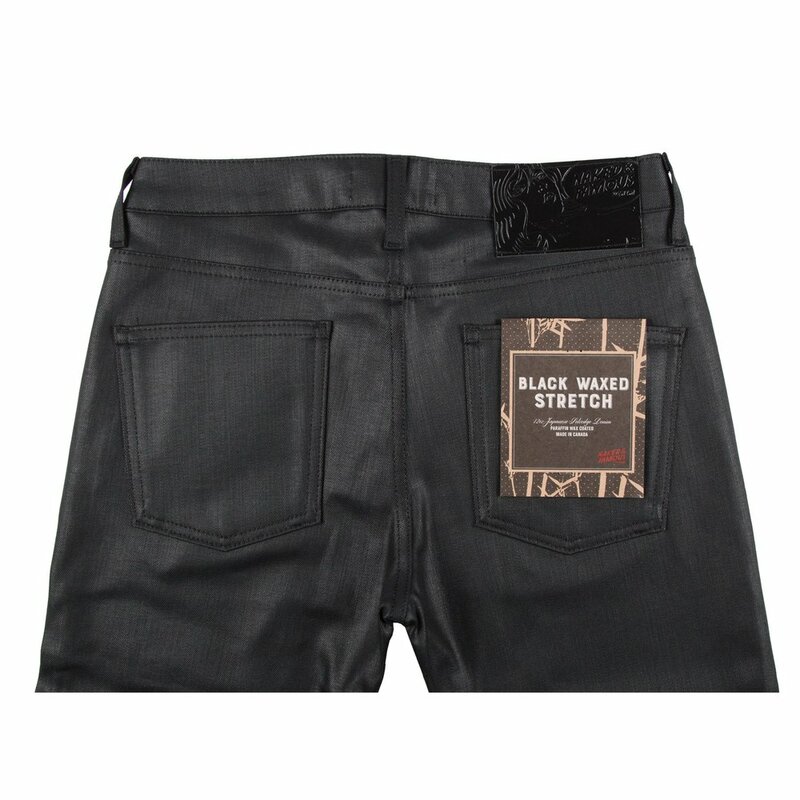 The dye is resistant to fading to ensure the jeans stay blacker longer. The denim is made with 2% stretch for increased comfort, and has an incredible stretch recovery performance allowing the jeans to snap back to shape wear after wear.